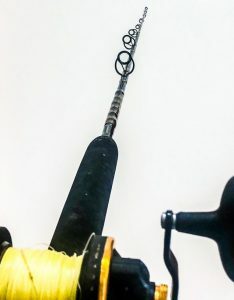 Why use a custom rod? Unlike a rod from your local sporting goods store, a custom rod is built to your specifications. Length, action, grip material, guide quality and color are all features that you can select to give you a truly one of a kind fishing rod. Slightly intimidated by the limitless options? Don’t be! All it takes is a brief conversation about what style of fishing you’re into, and we can nail down a build to fit any budget. 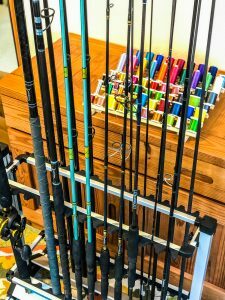 From boat rods to fly rods, surf rods and inshore rods…ALL can be specialized! Customization of rod sets or outfitting an entire boat with spinning rods, trolling rods, gaffs, bait nets and more- NOTHING is off the table. Choose from rod blanks and thread to match your boat or represent your favorite sports teams and school allegiance. Give me a call or shoot me an email and we’ll make it happen! 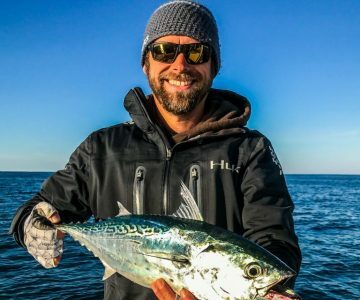 Contact Captain John to start a custom rod collaboration Now! Please use the contact form below for custom rod requests or general questions!